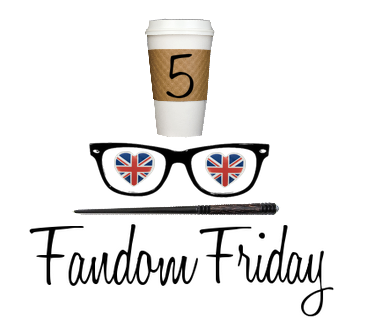 5 Fandom Friday is getting into the Valentine’s Day spirit! Our topic this week is about which fictional couples we ship. Anyone who identifies as a fangirl or a fanboy has VERY strong opinions about which characters belong together. Here are the ones that I feel most strongly about! 2) Cath & Levi (Fangirl) – This pair is adorable. Levi gets Cath to be open to new experiences and it’s the best thing for her. Their love is so innocent and ahhh. 3) Anna & Etienne St. Clair (Anna and the French Kiss) – I just wrote a full review of this book which will be posted this weekend and it explains ALL of my feelings about Anna at Etienne but trust me, this pair will make you swoon. It’s a slow burn romance and it’s so so satisfying. 4) Lupin & Tonks (Harry Potter) – The FEELS. 5) Chuck & Blair (Gossip Girl) – Chuck and Blair’s relationship was such an emotional roller coaster for me. I had read the books so at first I thought that the idea of something between them was absurd, but Leighton Meester and Ed Westwick (*swoon*) have the best on screen chemistry possibly ever. I think they may be my OTP. I’m really excited to see who everyone ships! Love your list! Lupin and Tonks! Love those two! Peter and Gwen – especially as played by Andrew Garfield and Emma Stone! I’d be more on board with Lupin+Tonks (I do think they’re relationship is very sweet) if it weren’t for ridiculous good fanfiction that went the way of Lupin/Sirius. Hah. LOVE Chuck and Blair!!! And Anna and St. Clair and Levi and Cath! Like you said Levi and Cath have such an innocent love, it’s impossible not to love! I was nodding along with the ship until I got to Tonks and Lupin. That’s when I almost exploded! But I managed to keep it together :) Love your ships!